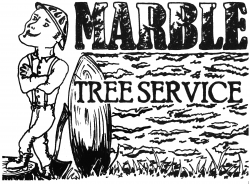 Urban Forestry Forestry Infrastructure and Inventory Specialist – Limited Duration Hourly rate - $25.25 - $31.49 / hourly Application Deadline: Friday, April 5, 2019. Accepting online Applications Only. Apply at www.eugene-or.gov/jobs . Are you an urban forestry professional ready to join one of the Pacific Northwest's premiere programs? Eugene's Urban Forestry program is part of the Green Infrastructure Section of the Parks and Open Space Division within Public Works. The Green Infrastructure Section is focused on services within the public right-of-way including the urban forest, green stormwater facilities, vegetated medians and specialty landscapes. This position will also oversee and the Maintenance Permitting Program for Urban Forestry. This program, under specific criteria, allows residents and business owners to prune, remove and plant trees in the publicly owned right of way. Responsibilities include permit inspection, issuance, enforcement for pruning, planting and removal permits as well as program development. MINIMUM REQUIREMENTS Experience and Training Guidelines: Any equivalent combination of education and experience which provides the applicant with the knowledge, skills, and abilities required to perform the job. A typical way to obtain the knowledge and abilities would be: Experience: Four years of experience in Urban Forestry, public works inspection, code enforcement, planning, program coordination, Landscape Architecture or a related field. Education: Associates' degree in Natural Resource Management, Forestry, Horticulture, Landscape Architecture, or a related field. License or Certificate: A valid Oregon driver's license or, the ability to obtain by date of hire; must pass driving records check and, if hired, maintain a driving record that meets the City's standard. Oregon law requires that an out-of-state license holder must obtain a valid Oregon license (with appropriate endorsements) within 30 days of becoming domiciled in the state (ORS 803.355). International Society of Arboriculture (ISA) Certified Arborist, ISA Municipal Specialist and ISA Qualified Tree Risk Assessor or, the ability to obtain within one year from the date of hire.